Let's start with alligators and crocodiles. 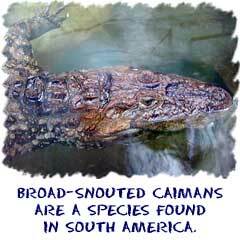 Of the reptiles on Earth, the alligators, crocodiles, and others of this type are the largest around. Did you know that some of them get larger than 18 feet long (over 6 meters)? This group of reptiles is called Crocodilia even though they aren't all crocodiles. 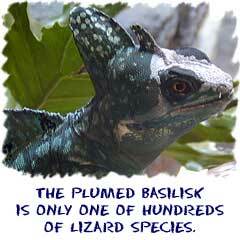 Some scientists think that they are more closely related to birds than any other reptile. If you're out looking for one, you'll find them near the water in warmer climates. Reptiles don't do well in the cold. Both snakes and lizards are in the order called Squamata. Snakes are special because they have no legs. You knew that fact. But did you know that snakes don't have ears? They feel vibrations and smell with their tongues. Did you know that snakes can unhook their jaws so that they can swallow prey that is actually wider than they are? Very cool. Don't worry about snakes being slimy. They aren't. They are just very shiny because of their specialized scales. With so many types of lizards, we don't know where to begin. Lizards have scales just like snakes. They also have legs. They can dig, climb trees, and grab things. It's very handy to be able to grab on to things. Those legs and feet are also placed under the body, so they can walk around without hitting the ground. Turtles and tortoises are the special species that have shells. Some are found in forests, some are in the water, and some are in the deserts. Turtles and tortoises are able to live anywhere that the temperatures are warm enough. They are also able to live a very long time, sometimes over 100 years. Turtles are usually the ones found near water. Tortoises are found on land and dry areas. 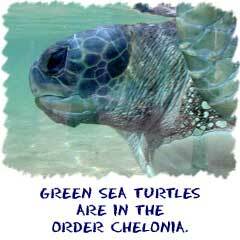 Scientists group turtles and tortoises together in the order Chelonia.